Among the 10 defendants is a civil guard who provided internal information of the Armed Institute. 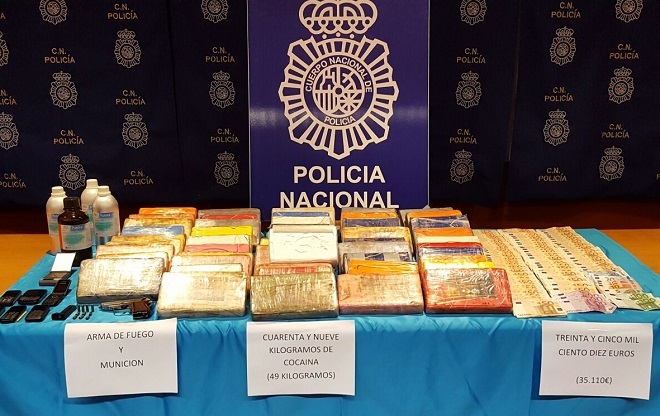 On April 28, 2016, an operation of the UDYCO of the National Police, seized 49 kilos of cocaine in a tourist complex located on Anzuelo street in Puerto del Carmen, and disbanded a band composed of 10 people, among them that according to the Prosecutor’s Office there was a civil guard, dedicated to large-scale narcotics trafficking. The trial is held throughout this week in the Provincial Court of Las Palmas and the prison sentences requested by the Prosecutor’s Office range between 10 and 15 years. Among the crimes enumerated in the indictment are drug trafficking, possession of prohibited weapons, money laundering, the disclosure of secrets and falsification of an official document. Cocaine, with an average purity of 86.31 percent and an approximate value in the market of more than 1.7 million euros, entered Lanzarote through a tourist cruise, the MSC Splendida. 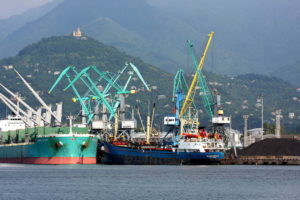 The leader of the organization, Zeljko R., alias the ‘Professor’, travelled to Brazil, accompanied by Milos J. and Nikola F., to negotiate in origin the shipment of cocaine. The defendants delivered the drug to a member of the ship’s crew and, once the crossing was made, the drug was delivered to members of the band in Lanzarote. Both Milos J. and Nikola F. were in charge of the custody of the cocaine in several lodging establishments of the Island. They arrived to lodge in three different ones and the intention was to transfer it to Gran Canaria. Another of the defendants, Massimiliano G., was responsible for the sale in Lanzarote of a kilo of cocaine from the seized, for which he charged 39,460 euros, “without it being possible to identify the buyer,” says the Prosecutor’s Office in his indictment. On the other hand, Carlos A. and Rayco Á. They were in charge of transporting cocaine from Lanzarote to Gran Canaria. The circumstance occurs that Rayco was an agent of the Civil Guard and the person in charge in the gang to obtain information, making use of police data to which he has access. The aforementioned civil guard was also in charge of “smurfing”, exchanging small bills for others of 200 or 500 euros to facilitate their transfer. For this, the band had Césareo S., an employee of Banco Santander de Arguineguín. According to the Prosecutor’s Office, Césareo S. “knew perfectly the illicit origin” of the money and that it came “from drug trafficking”. The exchange of tickets was done without identifying the customers who withdrew the money, as is mandatory. The police said that the money was taken out of Spain through “human male”. The lieutenant of the ‘Professor’ was Dorian G., alias’ Martin Magister ‘, who is also accused of falsifying the passport.’ Alexander VH, another member of the band, had a firearm intervened at his home. The Prosecutor’s Office also accuses Froydis L., the only woman in the gang. The National Police baptized operation Escipión the device that disarticulated the band and allowed the seizure of the 49 kilos of cocaine. In other registers, they also found 20 kilos of hashish. The band was led by citizens from territories of the former Yugoslavia. The working methods of drug traffickers derived from the training of their members as military in Eastern European countries. The ‘Professor’ had served in the Yugoslav national army and was fugitive from German justice, pending serving a sentence of 14 years.